I guess I hadn’t realized what dealing with difficult customers really meant until I met this young man, probably in his early thirties, hollering profanity at the top of his lungs just because I couldn’t go against a company policy and give him what he was asking for. It was one of the most embarrassing experiences of my life, especially since the exchange was witnessed by many other wide-eyed and confused customers. It wasn’t until someone told me to relax and “ignore the twit” that I got a sense of what had just went on. Thankfully, I hadn’t reacted as badly as I could have if I had lost my own sense of self-control. If you’ve worked in any position that required you deal with the public, I’m sure you weren’t guarded by this type of crudeness either. If it happens every so often, don’t be tempted to go quid pro quo. Instead maintain your professionalism and tame the beast with the following methods. It is extremely important to just listen to what the customer has to say first. Arguing or cutting them off will only add fuel to the fire, so avoid speaking out of turn. Ask them, politely, if they are done saying what they have to say before you speak. That way, you ensure that the customer has fully let it all out and you have given them time to vent and settle down. 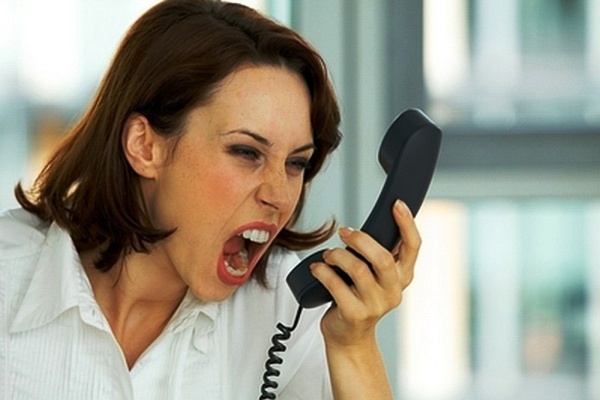 Never raise your voice at a customer even if they are doing the same to you. The customer won’t have anyone to report to if things get out of hand, but you will! Responding in a calm and slow manner will prevent the situation from exacerbating and help extinguish the customer’s anger. It’s always best to explain what you can or can’t do because it’s part of a contract you signed. This gives validity to your argument and supports your position. The customer should understand that you are just doing your job the best you can. Try to ignore this customer and tell them you won’t respond until they correct their tone. During this period they may rant on and on until they have nothing to say. Let them, and then finally give your standpoint. Whether you are talking to a customer over the phone, through an email, or in person, your job entails you to always remain and act professionally. This can easily be forgotten when you’re alone with a customer or when you’re using a medium that doesn’t have an audience. To maintain this composure, pretend that the exchange is in public with an audience watching (including staff persons, your boss, and potential customers). That way, you ensure that you do your best at being a company representative while dealing with unruly customers. If you simply can’t deal with the customer anymore, don’t be afraid to hand him over to the next person. Usually this is going to be your manager or a colleague with more experience. Finally, avoid taking these exchanges personally. Usually, such exchanges are a result of frustration built up against the company or a company policy they don’t particularly appreciate. You become the unfortunate target since you are a representative of the company. So, instead of taking it to heart, approach the problem in a tactful manner and guide the conversation back to the real root of the problem and how it can be constructively solved. Hannah Williams is a senior content editor at Essay Plus which provides writing and editing services to students in the UK. She is also a regular contributor to many popular educational blogs.